US and Chinese officials are set to begin trade negotiations on Monday in the hope of reaching a deal during a 90-day truce between President Donald Trump and his counterpart Xi Jinping. While the mid-level talks probably won't produce a major breakthrough, the stakes are high as both sides face a resumption of tariffs in March if they don't strike a deal. More senior-level discussions are expected later this month, with the South China Morning Post reporting that Trump may hold talks with Chinese Vice-President Wang Qishan at the World Economic Forum in Davos, Switzerland. The US accusation that China forces American companies to share sensitive technology and steals intellectual property is one of the thorniest issues, and could make or break any potential deal. The 90-day negotiations will focus on "structural changes" in the way China handles technology transfers, intellectual-property protection, cyber-theft and other issues, the US said after Trump and Xi met in Argentina. China has announced an array of punishments that could restrict companies' access to borrowing and state-funding support over intellectual-property theft, and is drafting a law to prevent forced technology transfer. But the devil will be in the details and execution. Huawei Technologies Co, China's biggest maker of telecom equipment, has long denied accusations by the US and its allies of facilitating state-sponsored espionage. The company is racing to develop 5G technology and owns a tenth of essential patents worldwide. But its efforts have been frustrated by the US, which has banned its products for government procurement and encouraged other nations to do the same. Beijing has also demanded Canada release Huawei's chief financial officer Meng Wanzhou, who was arrested in Canada on the behalf of the US for alleged bank fraud. The FBI is also probing possible Iranian sanctions violations by the company. Two Canadians who were seized after Meng's arrest remain detained in China. Beijing's "Made in China 2025" plan aims to transform China into an advanced manufacturing leader by targeting 10 emerging sectors including robotics, clean-energy vehicles and biotechnology. The industrial ambition has raised the ire of the White House, which argues its state-led intervention violates WTO rules and could create an unfair playing field for foreign investors. Tariffs imposed by Trump took aim at many of the industries targeted in the plan. China sees the plan as essential to achieving its long-term economic goals. Last month, people familiar said China may be willing to amend the plan, perhaps even postponing some of it by a decade, if that helps bring an end to the trade war. The trade tensions have disrupted what should be a sweet deal for the two countries: The US is becoming a major oil and natural gas exporter while China has emerged as the world's biggest buyer of both. While lifting China's retaliatory tariff on US liquefied natural gas may revive sales, the bigger, longer-term concern for the industry is restoring enough trust to convince Chinese companies to invest the billions of dollars in future American LNG export projects. Meanwhile, any assurances from Beijing that it won't target US crude would help dispel the concerns that choked off sales last year. Investors will be watching to see if China removes retaliatory tariffs on US farm products -- including soybeans, corn, cotton, sorghum and pork -- that severely hurt America's heartland. Lifting the tariffs could encourage private buyers to immediately resume US farm-product purchases. 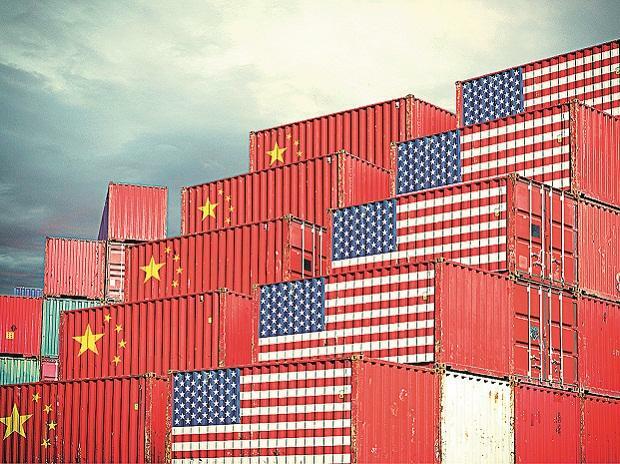 China may also remove its anti-dumping and anti-subsidy tariffs on US distiller's dried grains, which China is the largest buyer of, as well as allow imports of US poultry after it gave the green light on US rice purchases. If talks fail, China may also cancel some soybean orders that have been placed over the past weeks. After imposing a 25 per cent retaliatory tariff on vehicles imported from the US, China temporarily scrapped the duty starting January 1 as the world's two largest economies looked for a way to cool trade tensions. The additional tax has hurt all carmakers that sell US-made cars in China, including Tesla Inc, BMW AG and Daimler AG. Auto sales in China have fallen for six consecutive months through November, and December data is due this week. China has pledged to increase access for foreign-owned financial firms. In November, UBS Group AG became the first entity to win control of a local securities joint venture under rules that were eased in 2018. JPMorgan Chase & Co and Nomura Holdings Inc are still waiting for approval to take 51 per cent stakes in onshore partnerships. Xi says the opening is steadily widening, and Bloomberg Economics estimates that -- barring a major economic slowdown or change -- foreign banks and securities companies could be raking in profits of more than $32 billion a year in China by 2030.